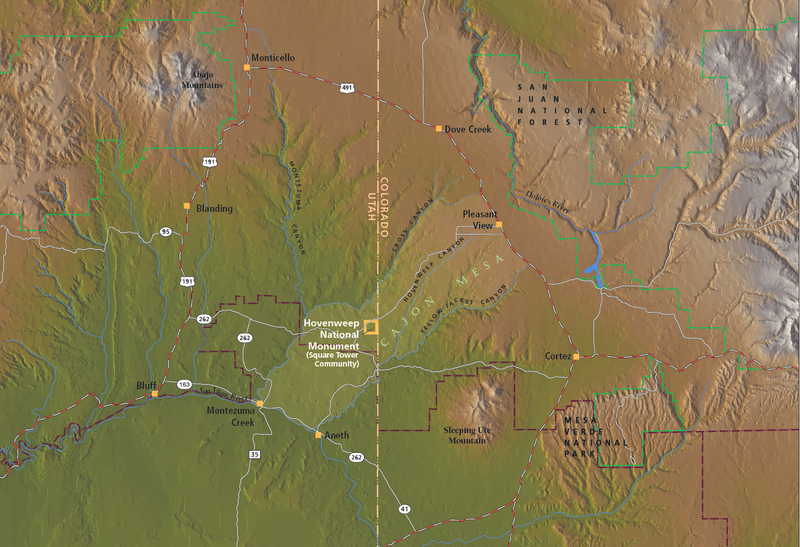 Maze District of Canyonlands National Park for a trailguide. 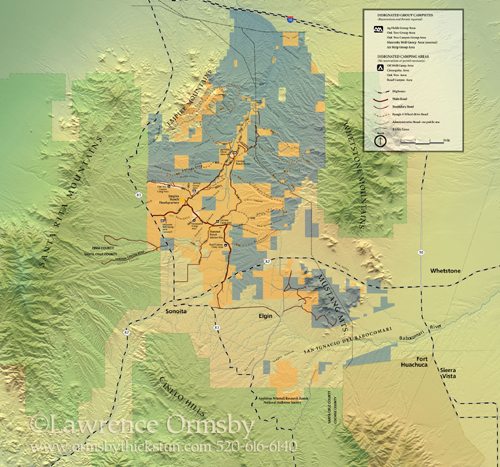 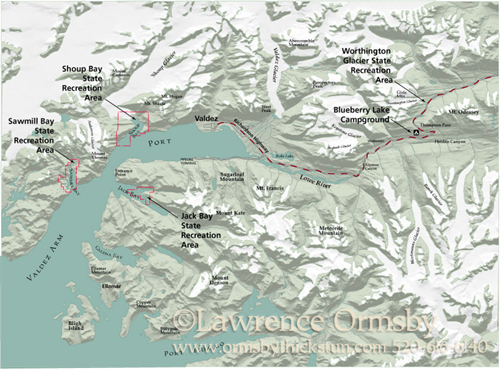 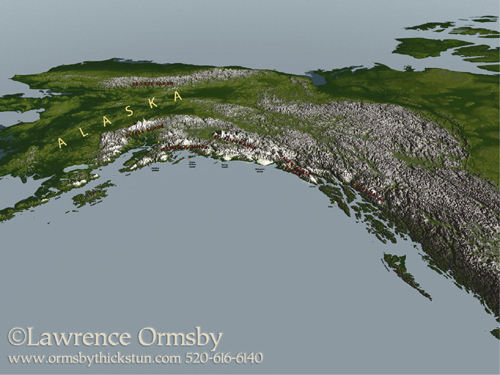 Lawrence Ormsby created these maps by using USGS DEMs (digital elevation maps, data that gives him XYZ coordinates of the landform), and manipulating in a three-D software application. 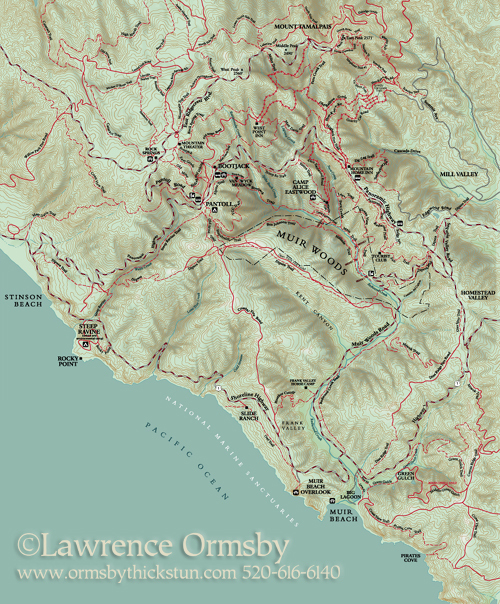 Or in some cases, he's hand-shaded by painting in Photoshop with a digital pad, and looking at aerial photographs or DEM renditions to figure out the shading. 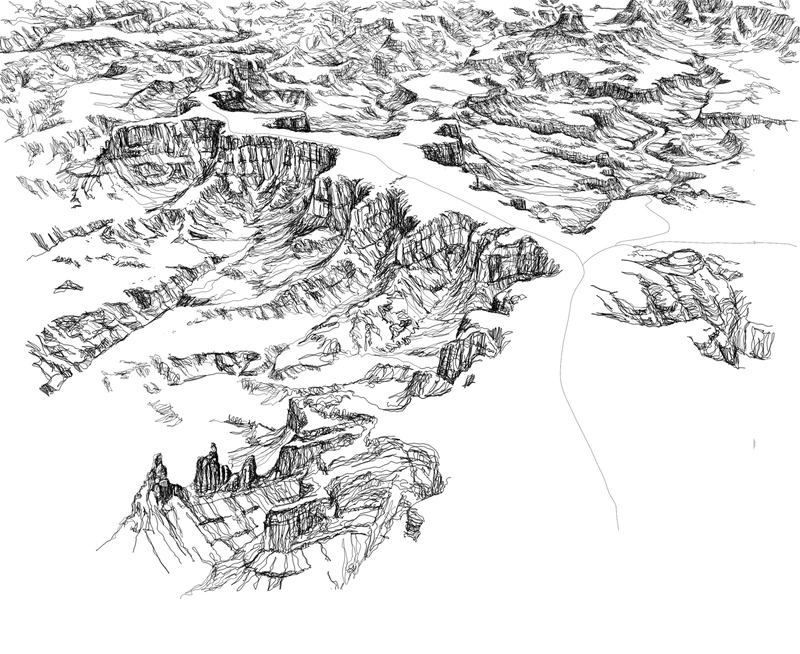 Some are drawings based on the data and aerial views, like the Canyonlands image.